AS Urban is a range of street furniture that evolved from Area Safe Products– a family owned company supplying vehicle and pedestrian safety products. 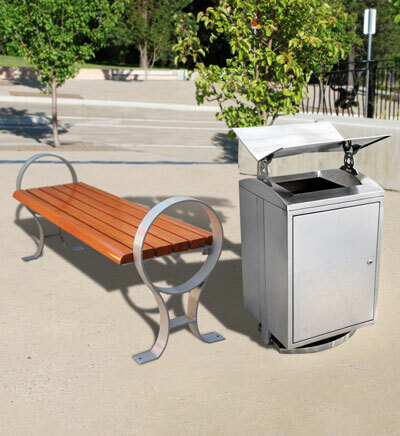 We are committed to developing high quality street furniture solutions at affordable prices. AS Urban street furniture ranges are stocked in large quantities, eliminating long lead times and ensuring our customers receive their product when they need it. As a family owned company we haven’t forgotten what it means to receive personalised service, and we seek to establish effective solutions for each and every situation. Value For Money – The AS Urban range offers high quality products at unbeatable prices! Quick Turnaround – AS Urban ranges are stocked in large quantities – meaning you get what you need when you need it. Deal Direct & Save - We sell to you direct – cutting out the extra costs associated with distributors. Quantity Discounts– We treat each and every order and enquiry on its own merits – we are prepared to to do a special deal for larger quantities. Instant trading Account – We offer an instant trading account for all schools, shopping centres, councils, hospitals, clubs, nursing homes and other government agencies (conditions apply). Other easy payment methods are available to those without accounts.